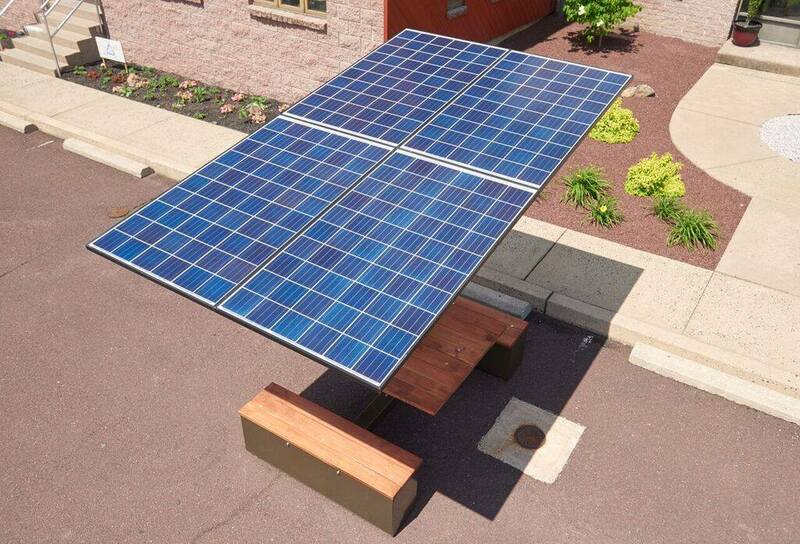 Carrier Class Green Infrastructure has released an upgraded version of their "Connectable Café" which now includes four solar panels instead of two. This results in "double the power output and double the shade." TheConnecTable was created to provide a solar charging station that can be used on business and college campuses, parks, malls and anywhere people might need to charge their devices. Carrier Class Green Infrastructure is known for supplying colleges like The University of California Riverside, The University of California Irvine, and the University of Georgia with innovative technology that helps the campus become "green" while offering students a way to plug in on the go. Tables can be placed on the quad, in the grass, outside the library, or in the park. They offer a way to charge up mobile devices like smart phones and laptops. Recently, the company released a comprehensive list of green campus sustinability ideas for Earth Day. As more and more people become aware of climate change, businesses look to do their part for the environment. Those looking to stay in the know on solar power and sustainability can follow TheConnecTable on Facebook.